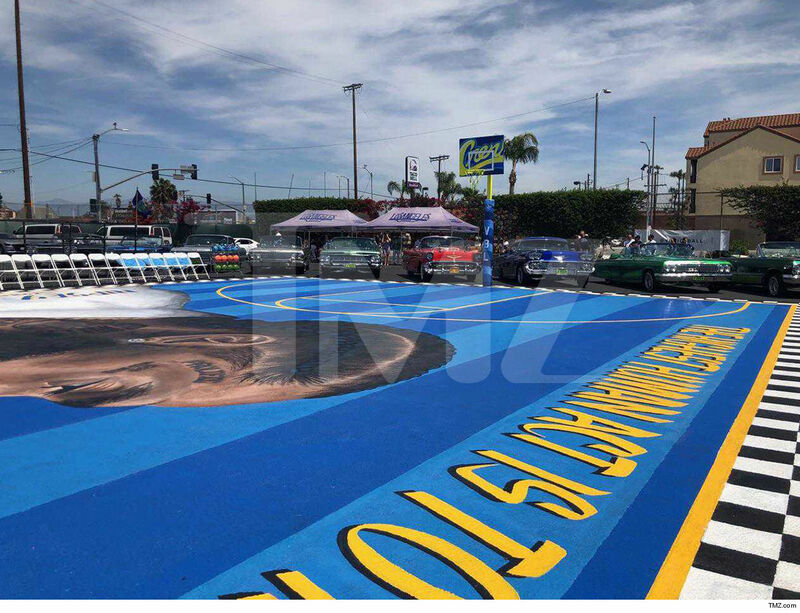 Nipsey Hussle will live on in the Crenshaw District with a public basketball court that now bares his image across 78 feet of pavement ... which is getting a ribbon cutting Sunday. A court outside the Crete Academy charter school -- which is just blocks away from where Nipsey was killed -- is holding an event that'll unveil the gorgeous mural done by artist Gustavo Zermeno, which was put into motion by Venice Basketball League's CEO, Nick Ansom. After the ribbon cutting at 3 PM, there's gonna be some games ran on the new court. There will be a high school showcase at 4 PM, and then an All-Star game at 5 PM. There's no telling who might show, but ya gotta imagine some famous faces could surface. 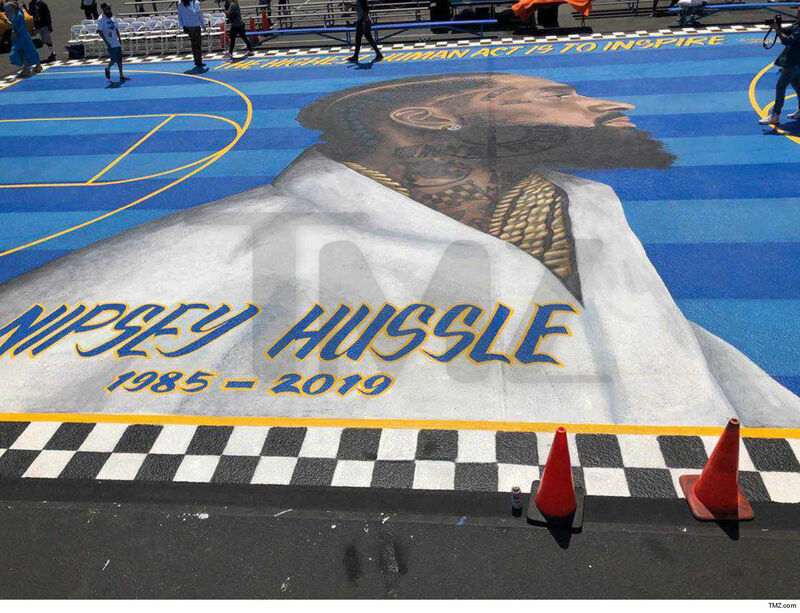 The memorial court is just the latest tribute to Nipsey -- who was murdered two weeks ago in front of his Marathon Clothing store. He died at the young age of 33. 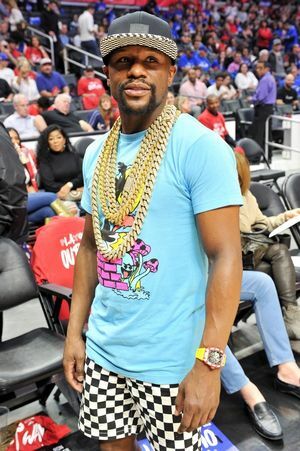 Master P Nipsey is Beloved Just Like MJ ... Teyana Snaps at Scalpers!!! Master P says the outpouring of love for Nipsey Hussle proves he was approaching the level of respect and adoration Michael Jackson fans had for him -- and he says you'll see that on display at Staples Center. We got the hip-hop mogul outside Nipsey's Marathon Clothing store in South L.A. where he paid his respects and had glowing things to say about the slain MC. Master P says Nipsey might be gone, but his impact on the community will not be forgotten. When he brought up Nipsey's Celebration of Life -- set for Thursday morning at Staples -- MP said that event is a testament to how many lives Nip touched. He added ... people who didn't realize Nipsey's importance when he was alive are getting the picture now. We also got Teyana Taylor at LAX Wednesday and asked her thoughts on Thursday's memorial service ... which scalpers have tried to exploit by charging big money for the free tickets. You can tell she's still disillusioned by Nipsey's murder, saying it still doesn't feel real. Check out her message to the scumbag scalpers too. She has some choice words for 'em. BTW ... the gorgeous mural Master P mentioned is just about complete, courtesy of street artist Danny Mateo, who says he's been working on it for the past 4 days. 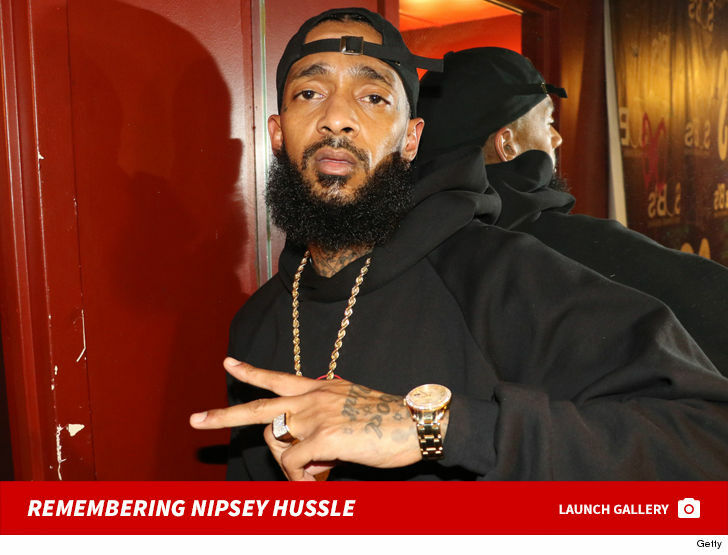 Nipsey Hussle's Downtown L.A. memorial service will be a heavily guarded affair -- and it's got a lot to do with the chaos that broke out at a vigil a week before ... TMZ has learned. 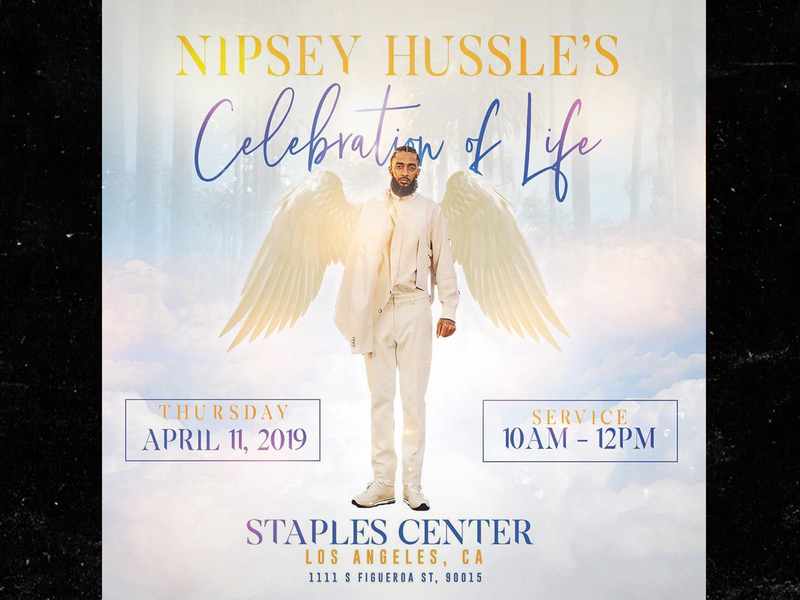 Sources familiar with Nipsey's Celebration of Life at the Staples Center arena this Thursday tell us there will be an abundance of security from multiple agencies and organizations -- all with the intention of keeping the memorial peaceful and drama-free. We're told security on hand Thursday will feature a mix of muscle -- from members of the LAPD, members of the Nation of Islam, as well as Staples Center personnel. Our sources say the LAPD is only on hand to offer assistance ... helping to move traffic, keep the peace and to step in if needed. 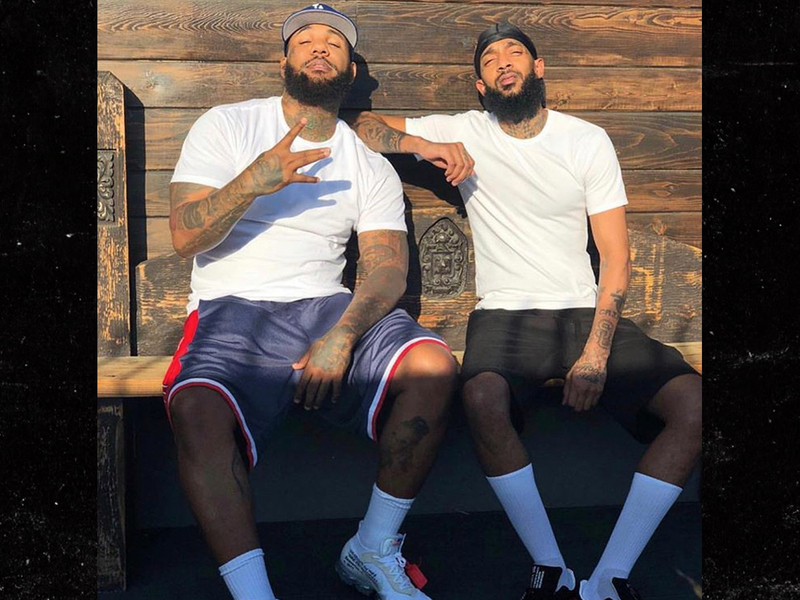 The reason for such a strong presence ... our sources say a big part of it has to do with Nipsey's family's wishes in wanting to prevent further violence -- especially in the wake of the chaos that broke out at Nipsey's L.A. vigil last week ... which cops now say left 2 people shot. According to a search warrant -- obtained by TMZ -- cops are still on the hunt for the person who allegedly pulled the trigger with the intent of killing others. A possible added danger to Thursday's ceremony. As we first reported ... Staples Center honchos and officials with the LAPD were heavily involved with the planning early on, and it appears they're gonna keep a close watch on how people come in and out. The logistics for Thursday's event were released Monday, and tickets were gone within a couple minutes after they were released on Tuesday. The tickets became such a hot item, second-hand websites shut down pages trying to sell them for hundreds of dollars. Folks will also have to go through metal detectors and undergo bag checks at the entrance, so it's clear they're taking the security pretty seriously. Nipsey Hussle's memorial service will be a free event for the public -- but tickets are limited, so you'll have to be up early Tuesday to get yours ... you'll have to live in Cali too. 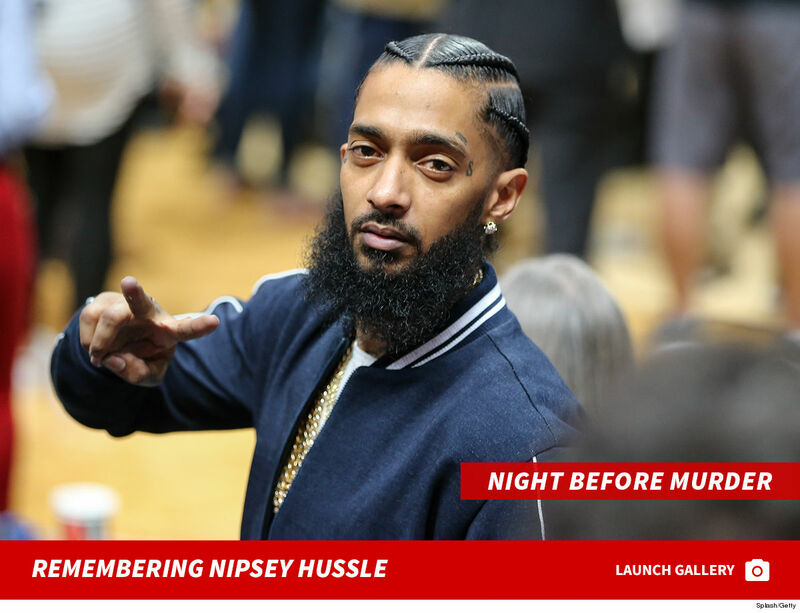 The logistics for Thursday's event -- which has been dubbed "Nipsey Hussle's Celebration of Life" -- are up on Staples Center's website, and it breaks down how to gain entry to the ceremony. Complimentary tickets will be available Tuesday at 10 AM PT via AXS.com. A big caveat ... tickets will be reserved for California residents only -- and each household gets 4 max. There are more stipulations for the event itself, which starts at 10 AM sharp and runs 'til noon. According to SC ... all guests in a group must enter the premise together with their tickets in hand, and everyone will be subject to metal detector screenings and bag screenings. No backpacks are allowed, nor are bags larger than 14" x 14" x 6". Out of respect for Nipsey's family, cameras and recording devices won't be allowed inside the venue either. Non-alcoholic beverages and light snacks will be available for purchase inside. 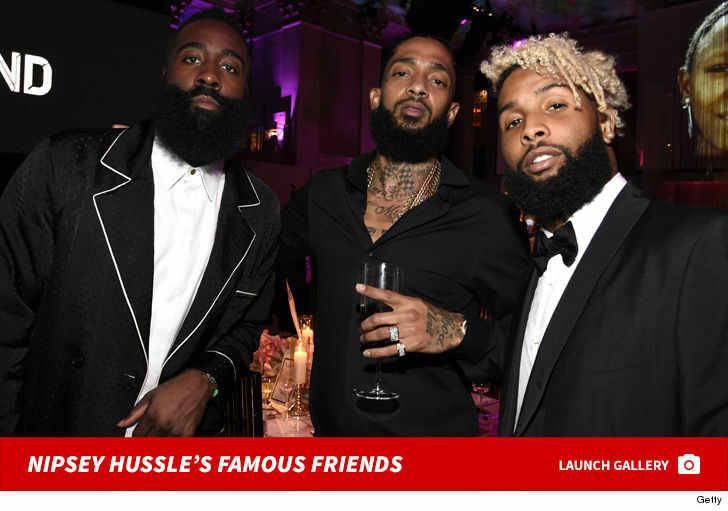 TMZ broke the story ... Nipsey's family and honchos at Staples Center got together Friday and discussed logistics on how to honor Nipsey there. LAPD officials were also present at the meeting to help plan for security and safety for this upcoming Thursday. 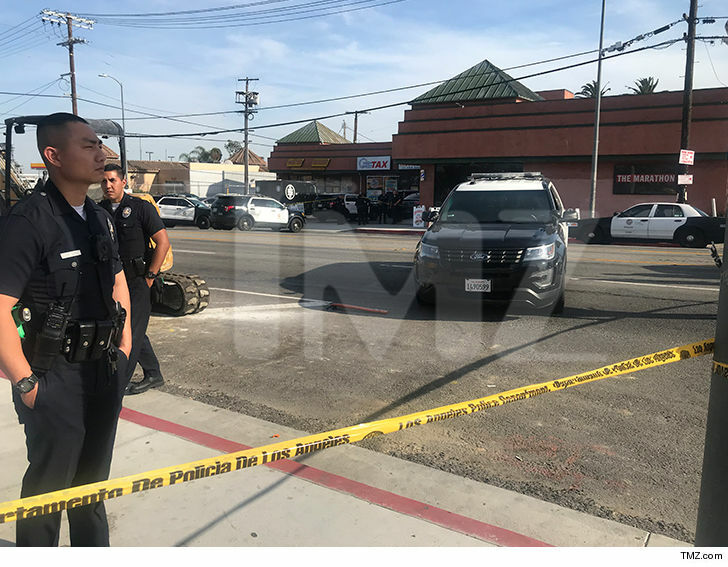 Nipsey was shot and killed a week ago Sunday in front of his Marathon Clothing store. His alleged shooter, Eric Holder, has been charged for murder ... for which he pled not guilty. Kanye West is the latest huge star to pay tribute to Nipsey Hussle ... and he did it with his Sunday Service. Ye was holding his weekly outdoor concert Sunday -- per usual -- but at one point during the show ... he played audio of Nipsey's voice delivering some inspirational words about encouragement over music that was beginning to build, courtesy of Kanye who was DJing. Kanye's shout-out to Nipsey follows J. Cole dedicating an entire song to the L.A. rapper during his inaugural Dreamville Fest Saturday. Big Sean held a special moment for Nipsey at the same event. There's gonna be a memorial service for Nipsey at the Staples Center on Thursday. 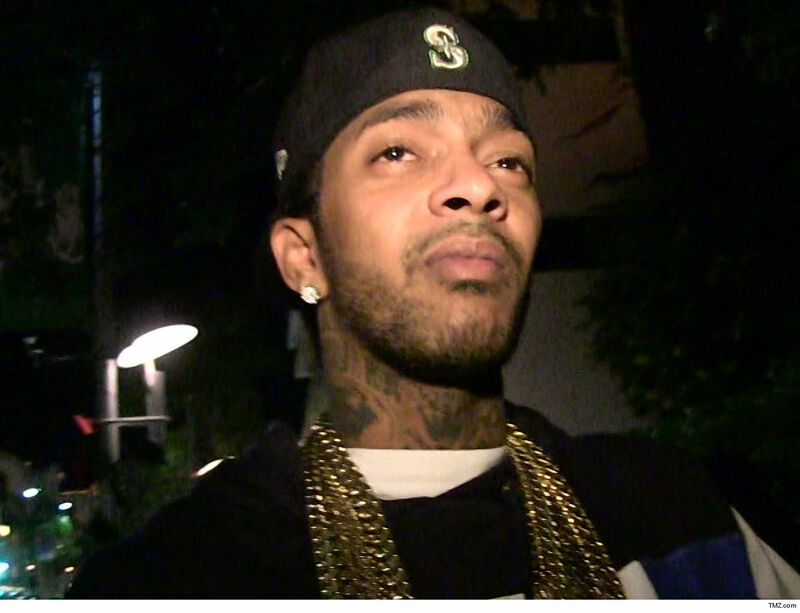 No word yet if music will be incorporated, but Nipsey's peers have had that covered so far. Jenee Darden -- one of Chris' adult children -- posted a statement on IG Sunday, saying she's been receiving "vile" comments and messages ever since the news broke last week that her dad was serving as Eric Holder's defense attorney. Darden pled not guilty on behalf of Holder after he was charged with murder, but his mere presence in the courtroom took many people aback ... as he'd previously served as one of the prosecutors on the O.J. Simpson case, which he lost. Jenee says there's been tons of backlash aimed at her because of Chris' recent decision to rep Holder, which she says is unwarranted ... because her father is a grown man and picks the cases he wants to take on. She says she has no say on any of that. She also says she found about Chris' involvement in the case like everyone else ... scrolling through social media. More interestingly, Jenee appears to be siding with Nipsey and his grieving family over her own father ... saying she grew up in a community similar to Nipsey's and understands why it's hit so hard for so many people to lose a mighty figure like him to a senseless murder. Jenee goes on to say that the folks who are attacking her online should channel their energy toward continuing Nipsey's legacy by strengthening communities and continuing to uplift one another. She ends by saying that although she's not sure how this case will play out, she'll continue to pray for Nipsey's family ... while also wishing them peace and justice. J. Cole took a moment during his sold-out Dreamville Festival to honor the late Nipsey Hussle -- and it was quite a special sight to behold. The North Carolina grown MC was in Raleigh Saturday night, where he packed out Dix Park with no less than 40,000 people who flocked to his inaugural music festival. 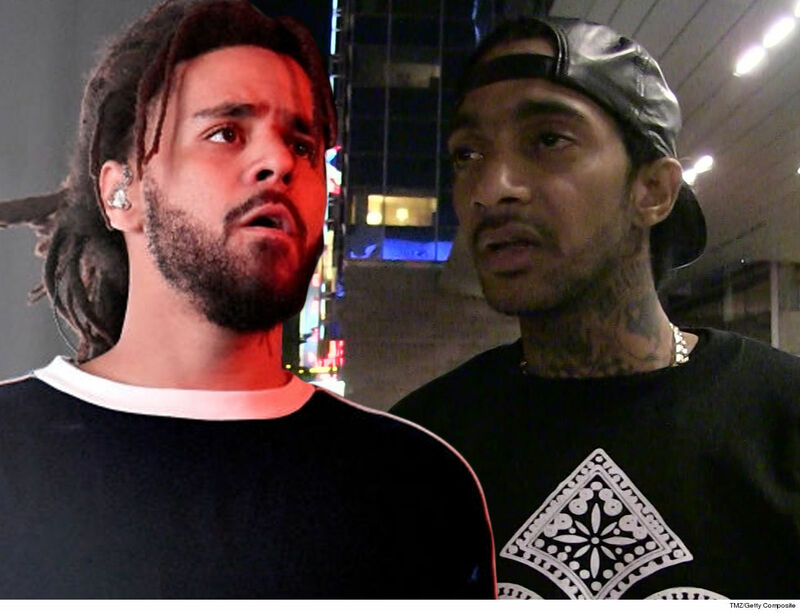 At one point during the show, Cole performed his hit, "Love Yourz," which he dedicated to Nip. It was a touching tribute, with video footage of the slain L.A. rapper playing on a giant monitor behind JC the whole time. Even before Cole got a single line of lyrics out, the crowd took over and sang the opening verses of the track. It seems like a live band was used for the performance too ... which sounded great. Cole ended "Love Yourz" with an explicit shout out to Nipsey, telling the crowd to make some noise him and to not put their lit cellphones down. The crowd happily obliged. Big Sean also paid a special tribute to Nipsey during his Dreamville Fest set, going in on what sounded like a fresh freestyle that he appeared to write specifically for the moment. Sean sent a sweet message to Nipsey himself too, saying he could still feel his energy while going on to thank him for his talent and work in his community. A memorial will be held for Nipsey Hussle at the Staples Center in L.A. this upcoming Thursday. It's unclear if the event will feature any music, but if not ... Cole and co. certainly handled that here. 4:29 PM PT -- Goldenvoice issued a statement about the worker who died Saturday, saying ... "Today, Goldenvoice lost a colleague, a friend, a family member. Our friend fell while working on a festival stage. It is with heavy hearts and tremendous difficulty that we confirm his passing. He has been with our team for 20 years in the desert and was doing what he loved. He was a hard-working and loving person that cared deeply about his team. As our lead rigger, he was responsible for the countless incredible shows that have been put on at the festival. We will miss him dearly." 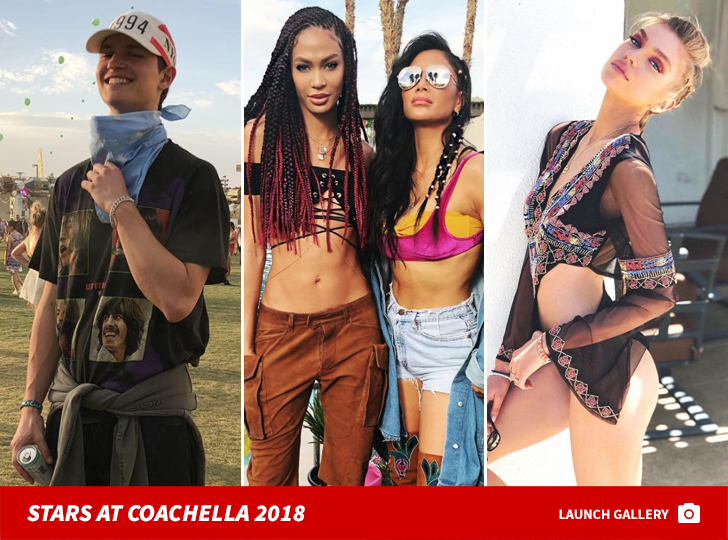 There's already a death on Coachella's doorstep one week before the festival officially gets underway ... TMZ has learned. A worker died Saturday morning at the Empire Polo Club in Indio, CA while he was helping set up one of the many stages at the venue. Eyewitnesses on the ground tell us the guy was climbing the stage scaffolding to do some rigging ahead of opening day next Friday. It's unclear exactly how or why, but we're told the man fell about 60 feet to the ground -- as he wasn't clipped in, meaning he had no safety harness attached to a cable to prevent him from plummeting. An Indio Police spokesperson confirms that a call was placed around 9:30 AM PT Saturday to report an industrial accident on the Coachella Concert grounds for somebody who'd fallen near the staging area. Police and fire units responded, but we're told the victim was pronounced dead on the scene. The IPD rep says the exact circumstances surrounding the man's death is under investigation. 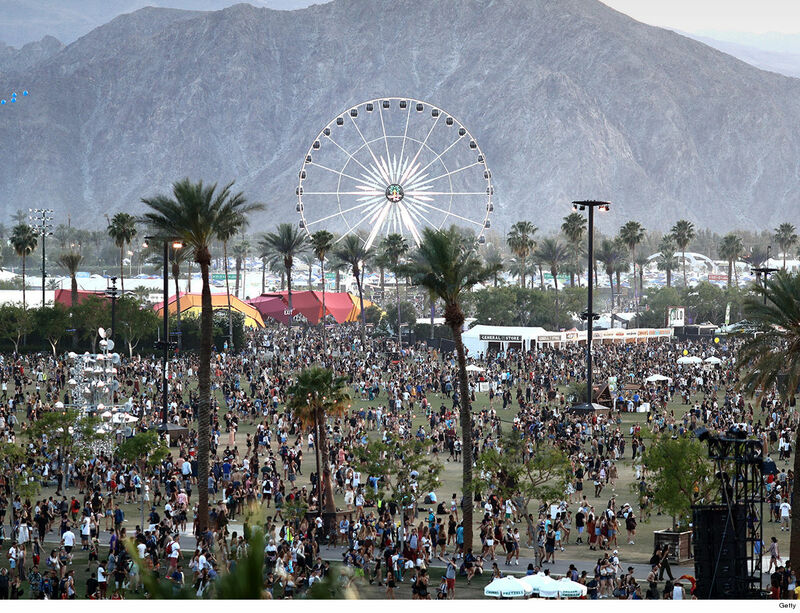 Coachella appears to have carried on without very many fatalities up until 2014, when a female festival goer died of a drug overdose ... which is believed to be one of the first -- if not, the only -- deaths to occur in Coachella's two-decade history. We've reached out to Goldenvoice -- which puts on Coachella each year -- for comment ... so far, no word back. Someone was out to kill Nipsey Hussle just days before he was murdered ... and those working with him were warned as such, and took extreme measures to protect him. Nipsey filmed a music video Thursday for an upcoming song he, DJ Khaled and John Legend collaborated on called "Higher." The track will appear on Khaled's upcoming album. 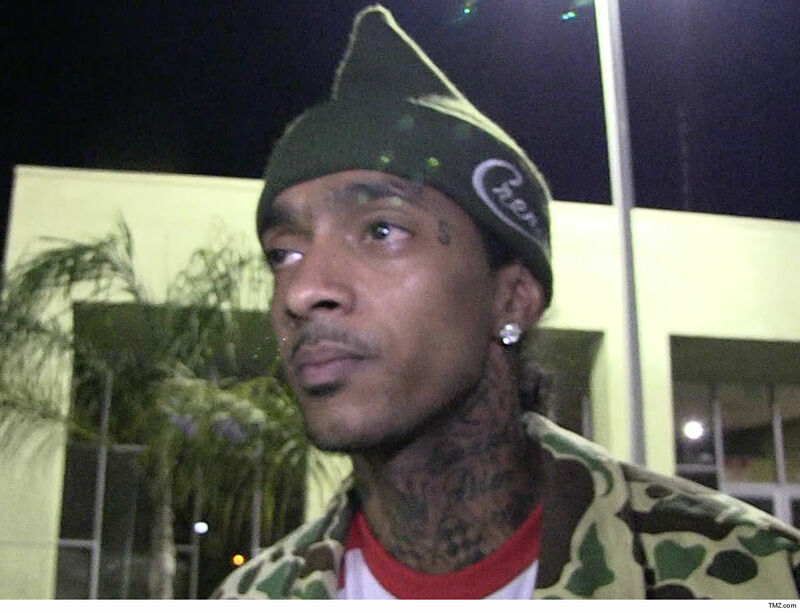 Sources on the Inglewood set tell TMZ ... there was great concern over Nipsey's safety during the shoot ... specifically over the parking structure the crew used to film. Our sources say the production team wanted the entire structure shut down so that only folks working the shoot would have access. I had the honor to meet Nipsey on this video shoot with Dj Khaled just a couple days ago. He was a good soul. We were excited about this shoot. Just last night I met with Ludacris and told him how great it was working with Nip. I leave Luda and 5 mins later I run into Nip. We had a great conversation about Life. Damn. I pray for his family. This gotta stop. #StopTheViolence #RipNipsey “Don’t you know that the devil is a liar ( yea I know ) - yea they rather see me down with my soul in the fire -But we keep going higher and higher.......... too soon. We're told production only booked the top two floors of the parking structure. People were able to park underneath the top floors. More shocking ... our sources say the production hired 10 armed police officers because of concerns over Nipsey's safety. 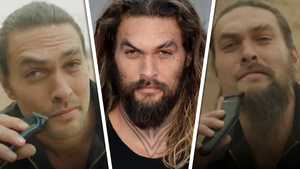 It's unclear why, but we're told they were scared someone would try sneaking on set and killing him. Seems the protection worked ... our sources tell us things went off without a hitch. Of course, just a few days later ... Nipsey was gunned down in front of his own storefront, no less. Just hours before the shooting, Nipsey cryptically tweeted about "enemies." Police are still looking for the shooter, who's only been described as a black male in his 20s. Cops have said they suspect the killing might be gang-related. Nipsey Hussle is dead because the gunman couldn't stand to see another person shining and leading his community by example ... so says T.I. 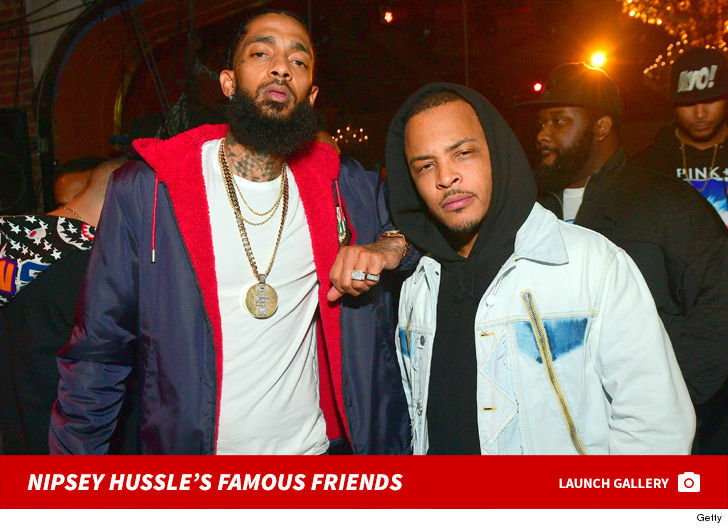 Tip is clearly going through a ton of emotions after Nipsey's murder, but still joined us Monday on 'TMZ Live' to offer his theory behind WHY anyone in the rapper's beloved Crenshaw neighborhood would kill him. Ironically, he believes it's Nipsey's amazing outreach to his community -- countless efforts to improve lives -- that sparked a jealous rage inside the shooter. T.I. says the guy who pulled the trigger is probably trapped in a mindset of hating to see someone from his block, or someone who looks like him ... advancing in life. The sad part being ... that's exactly the kind of person Nipsey tried to uplift. Check out T.I. 's breakdown of what he sees as a senseless crime ... he points to jealousy and envy as possible motivations -- but it's deeper than that, according to him. Like The Game, T.I. 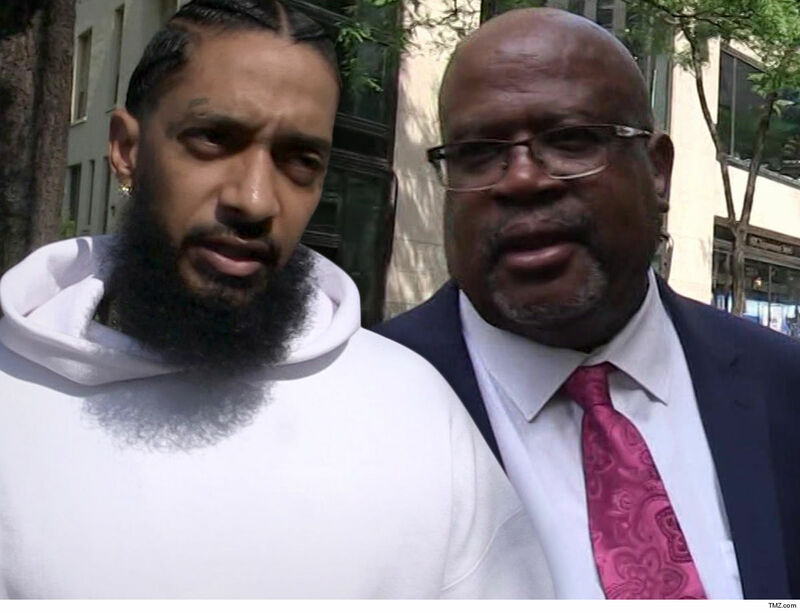 says he's disgusted and disheartened by Nipsey's killing. Despite life-saving measures by paramedics, he was pronounced dead at the hospital. Law enforcement sources tell us cops are looking for a black male in his 20s, who escaped in what appeared to be a waiting vehicle after he rolled up by foot. In the meantime, T.I. -- like the rest of L.A. -- is awaiting answers. Nipsey Hussle's murder has rocked the music world, but it has also sparked new spins on his most beloved tunes -- 'cause the rapper is dominating the charts. The Crenshaw rapper's music has soared on Amazon and iTunes in the wake of his fatal shooting, with a lot of his former projects jumping up in position by as much as 500%. 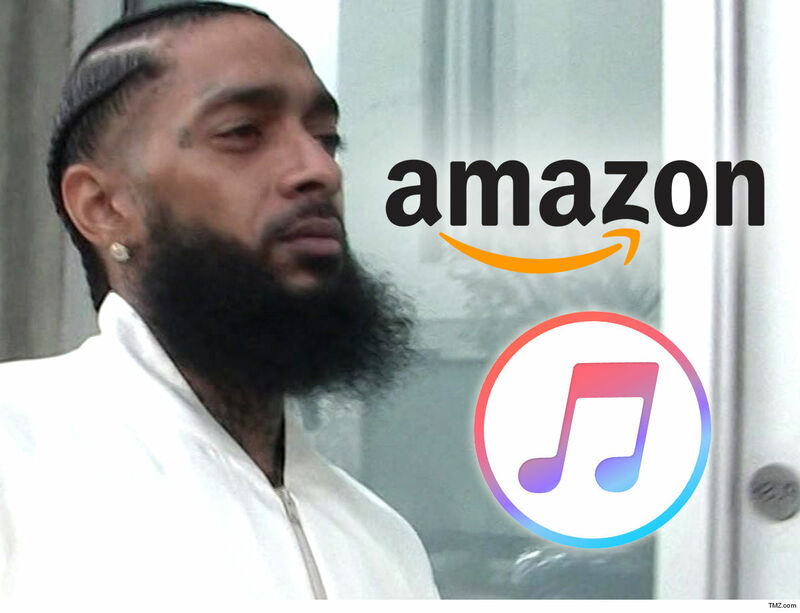 Specifically, Nipsey's debut studio album, "Victory Lap," has skyrocketed to the #1 album on Amazon's Movers & Shakers list ... having risen by a whopping 504,766%. 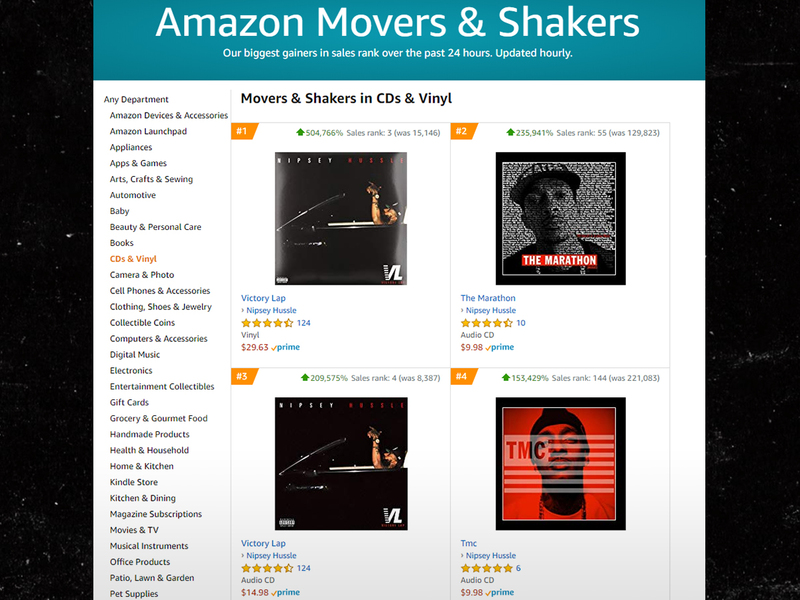 That's not all though -- Nipsey's album and previous mixtapes actually occupy all four top slots on Amazon's Movers & Shakers list. "Victory Lap" has also jumped to #2 on Amazon's overall bestsellers in digital music. Nipsey's making an impact on iTunes as well -- his studio album is ranked second on its album chart, and his mixtape, "Crenshaw," has climbed to #12 on the list. For the record, "Victory Lap" was nominated for Best Rap Album at this year's Grammy Awards. It lost out to Cardi B's record, but it was still a major milestone for Nipsey. 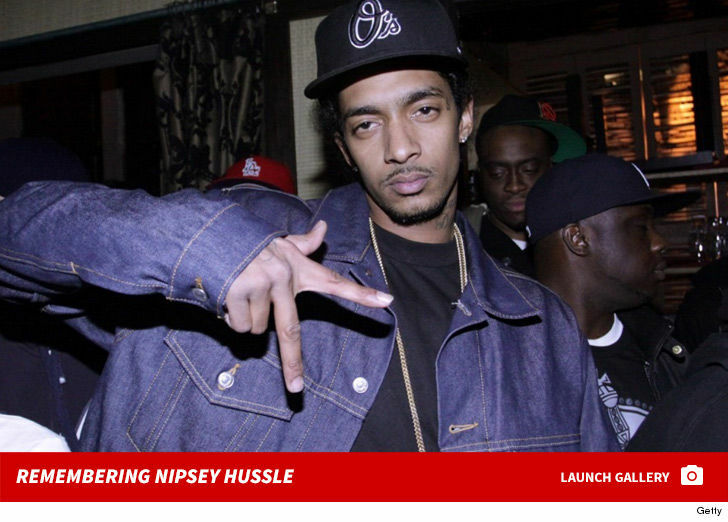 TMZ broke the story ... Nipsey was shot and killed Sunday outside of his Marathon Clothing store in South L.A. He was pronounced dead at the hospital.